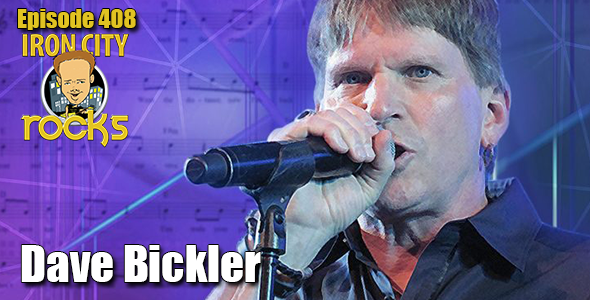 In Episode 408 of the Iron City Rocks Podcast we welcome original Survivor vocalist Dave Bickler. Dave talks to us about his brand new album Darklight which is available now, working with producer and musician Stephen DeAcutis, the legacy of his work in Survivor and much, much more. We are also joined by John Vento. John talks to us about his latest album Rainbows & Lightning which was released in 2018, a theatrical performance in the works, his songwriting processes and more.